The abuse and misuse of opioid pain relievers has become an epidemic the government and medical professionals are paying close attention to. Since 1999, opioid prescriptions have quadrupled, and over 183,000 people have died from prescription opioids, according to the Centers for Disease Control. 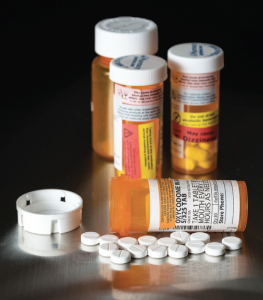 The federal government, organized dentistry and state agencies are trying to educate on the dangers of opioid abuse and what the prescribers of these medications can do to minimize the harm of the drugs. Dentistry plays a big role in the education, since many people’s first experiences with an opioid is after an extraction or having their third molars removed, said Regina LaBelle, former chief of staff at the Office of National Drug Control Policy. • Conduct a medical and dental history to determine current medications, potential drug interactions and history of substance abuse. • Register with and use the state prescription drug monitoring program. • Consider nonsteroidal anti-inflammatory analgesics as the first-line therapy for acute pain management. • Consider coordinating with other treating doctors, including pain specialists, when prescribing opioids for pain management. The growing opioid epidemic throughout the United States is quite alarming, and can be found in the most unlikely areas. Practitioners should take care when prescribing medication to patients. Great article to bring to the forefront the dangers of addiction to opioids. Unfortunately, opioid usage in the US has increased manyfold, and dentists and physicians alike should be careful when prescribing, letting the patient know and be educated on opioid use. The epidemic in the US is a shame, and seems to be pervasive in the most unlikely places. Very informational and this is something that medical practitioners in all fields should be aware of. Hopefully this issue continues to make the news so that more dentists can learn and better understand the dangers of opioid addiction and the how they can help their patients avoid them.